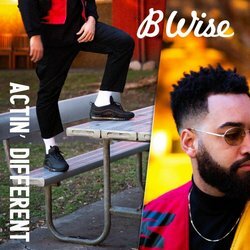 From the initial waves he created off the back of ‘Prince Akeem’, B Wise has continually delivered impactful songwriting and opened up a distinct lane in Australian music. It’s a lane that connects with young African youth as much as it does suburban triple j listeners. 'Area Famous' is the grand statement of an artist we’ve been waiting for, someone who doesn’t look or feel like anything we’ve heard before.